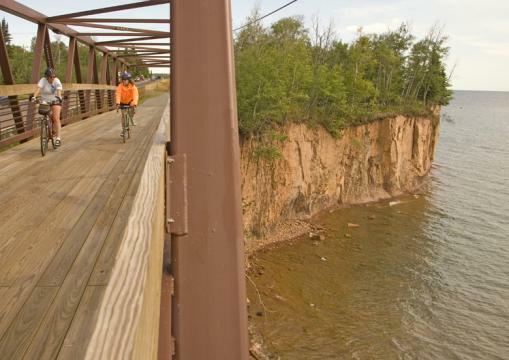 When completed, the Gitchi-Gami State Trail (GGST) will be an 89-mile non-motorized, paved recreational trail between Two Harbors and Grand Marais, Minnesota, along Lake Superior's beautiful and historic North Shore. Several segments of the trail, totaling over 29 miles, are complete. 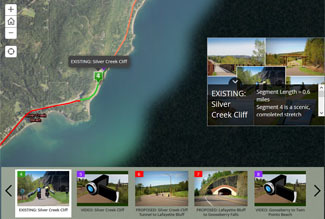 A new section between Silver Bay and the West Road in Beaver Bay, just east of the Beaver Bay trailhead, was completed in summer 2012 and was officially opened in June 2013. Another short segment connecting the tunnel under Hwy 34 with the Lutsen Ski Hill Road was completed in fall 2013. A short segment connecting the trail to the parking area in Schroeder was completed in 2014. 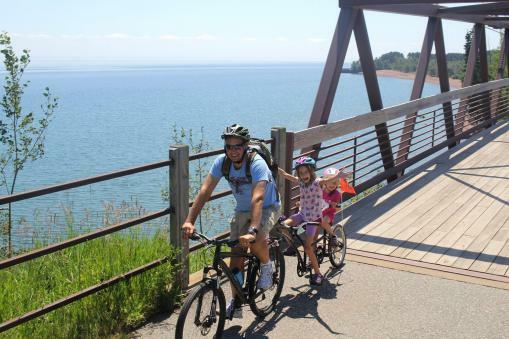 Summer 2018 will see a short trail extension on the northeast end of Tofte, extending the current trail segment to approach the town's Commercial Fishing Museum. 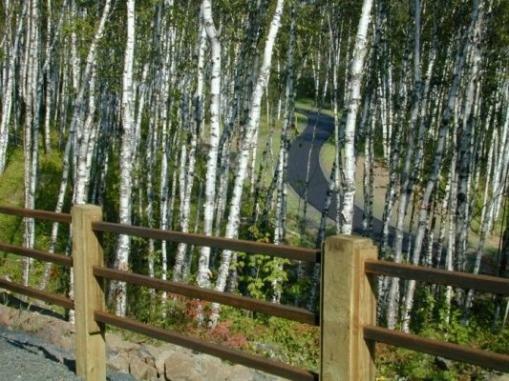 Small projects in Beaver Bay (West Road connection)and a rehabilitation project on the trail in Temperance River State Park were completed in summer and fall 2017, and we hope to continue this momentum! 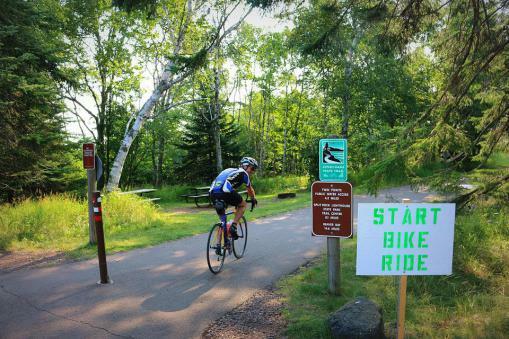 In addition to trail projects, MnDOT worked to establish Minnesota's second United States Bicycle Route in our state-- this new route, USBR41/The North Star Route follows trails and connecting roads from St. Paul to beyond Grand Portage at the border with Canada. 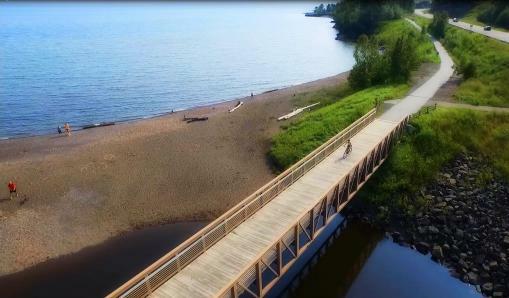 We are happy that this designation may bring more attention to the Gitchi-Gami Trail, and we also hope to use the designation to highlight the need for more trail to ensure the safest possible route is offered to touring cyclists. Learn more about USBR41/The North Star Route on our page here. 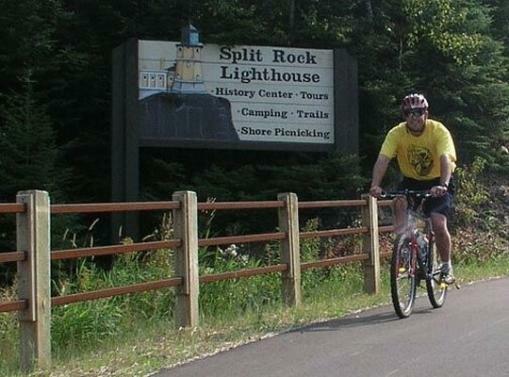 With the construction of the Gitchi-Gami State Trail, as well as wide shoulders on portions of Highway 61 and paved state and county roads, the North Shore of Lake Superior is becoming a premier bicycling destination. The trail is also popular with walkers, joggers and skaters. 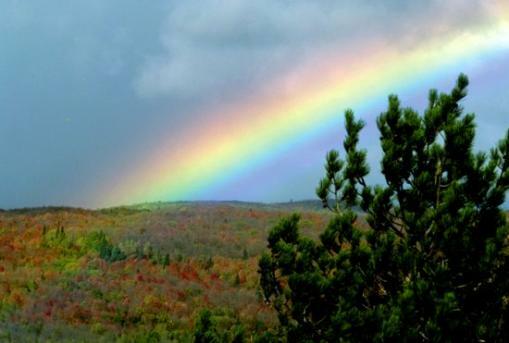 There is no fee or trail pass required to use the trail, although parking in the state parks does require a daily or annual pass. 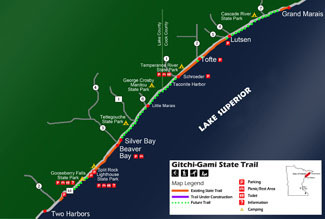 The Gitchi-Gami Trail Association (GGTA) is an all-volunteer nonprofit organization formed to work with the Minnesota Departments of Transportation and Natural Resources, and the Arrowhead Regional Development Commission, in the planning, development, construction, maintenance, and promotion of the trail, and to organize trail activities, including the Annual Ride.  We welcome your help, through volunteer assistance and membership. Read about what the GGTA -- including the board, executive director, and trail coordinator -- have been up to, in the current Fall 2018 Newsletter.